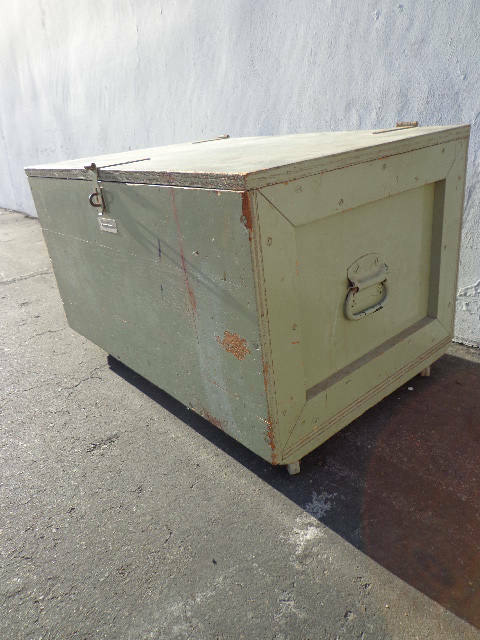 Amazing and cool military trunk locker. Solid frame and with the original, patina hardware. 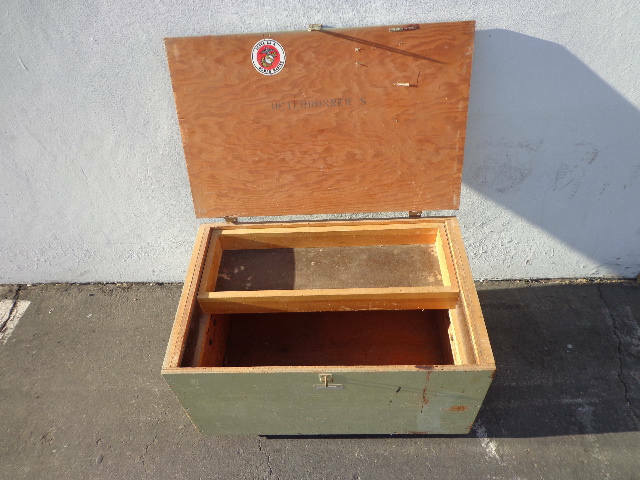 Spacious enough to hold many items and perfect to double as a coffee table or put at the foot of a bed or in an entryway, photo shoot prop, wedding decor, the possibilities for this are endless! Stamped and marked with the original owner's name, so neat! 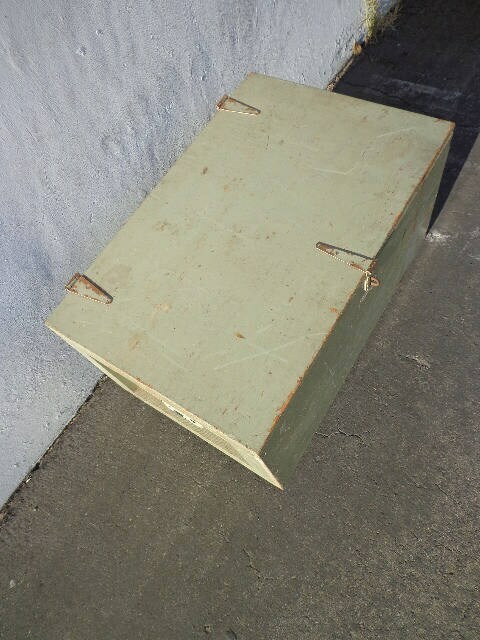 Trunk has original metal latch and set on rolling casters. This is an extremely unique piece and a part of history. Very industrial, reclaim, restoration hardware character. Shows heavy wear from age and use. The bottom shows wear. Could be used in so many different ways, for storage, as a coffee table, as a pop, many possibilities. 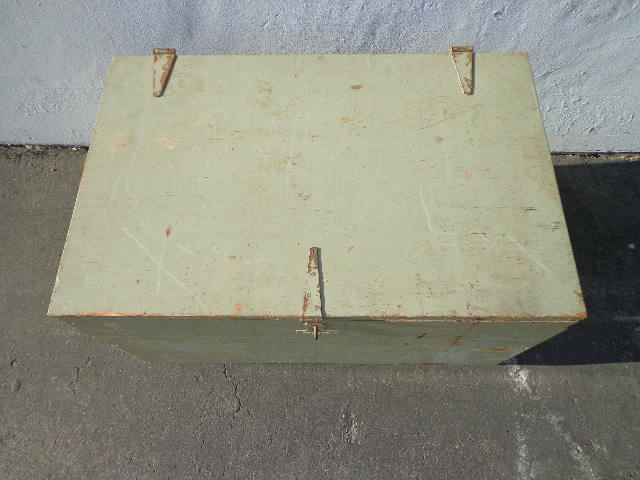 Authentic military foot locker/trunk hinges and clasps are all in great condition // nice green color with natural patina and wear. 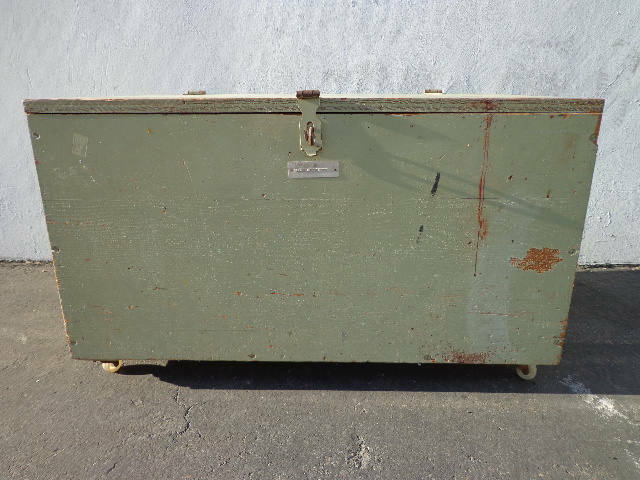 Dimensions: 30 3/4" x 19 3/4" x 18 3/4"